We’ve got socks-on-the-brain at Loop, this week. 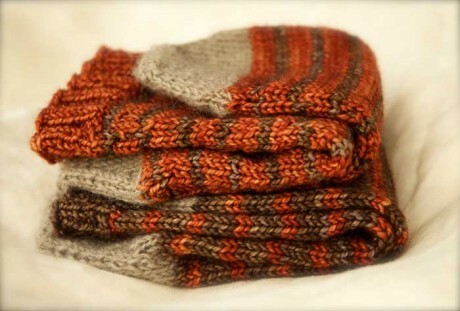 No, not a new illness, we’re planning our summer knitting: small, portable projects that can build our winter gift giving stash… or end up on our own feet, come autumn. I like to use my “fancy” sock yarns to knit the bodies of my socks and then slip in contrasting, afterthought heels in hardwearing Lang Jawoll Superwash sock. Not only is this great for self-striping and hand-dyed yarns, as the afterthought yarn won’t break up the colour pattern, but it extends your “fancy” sock yarn so you can get more out of it. We have Jawoll Sock in 53 colours! Each ball comes with a matching spool of nylon tucked inside. Knit the spool yarn together with the ball yarn on toes and heels and areas that receive a lot of wear (such as fingertips on gloves). 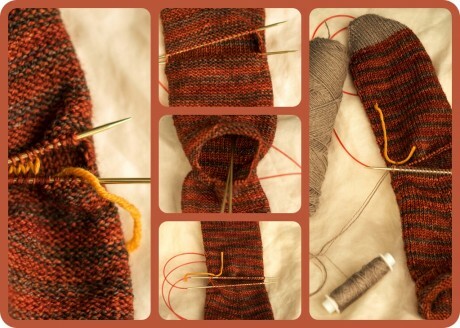 Afterthought heels can also be replaced if they start to wear-out before the rest of the sock. 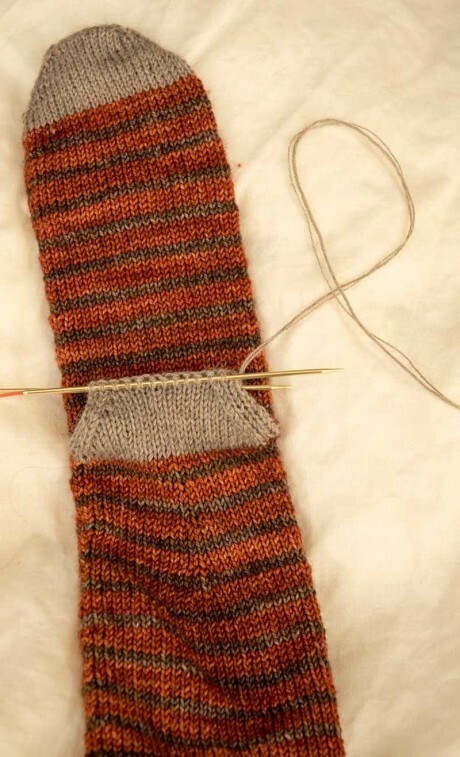 Just pick-up the stitches from the main body, reknit the heel and then cut out your old one. I’ve made odd-matched socks, so I can really extend the number of socks I get from three balls of yarn… and so I don’t get bored with my colour choices. The three balls I’m using here can give my little feet at least 7 odd-matched socks. There are loads of great patterns for socks with afterthought heels. I’ve included my own recipe as a pdf download at the end of the post, as well as some detailed snaps of that afterthought heel in progress. a) The sock heel from the right-side with bright yellow waste yarn for my heel. b) Turning the sock inside out and looking at the waste yarn from the wrong-side makes it easier to spot the stitches for picking up. c) The waste yarn is still attached, while the circular needle picks up the sock stitches between the waste yarn purl bumps. d) A close-up of a few of the stitche,s being picked up from the waste yarn. e) All the stitches are on the needles. Time to remove the waste yarn. 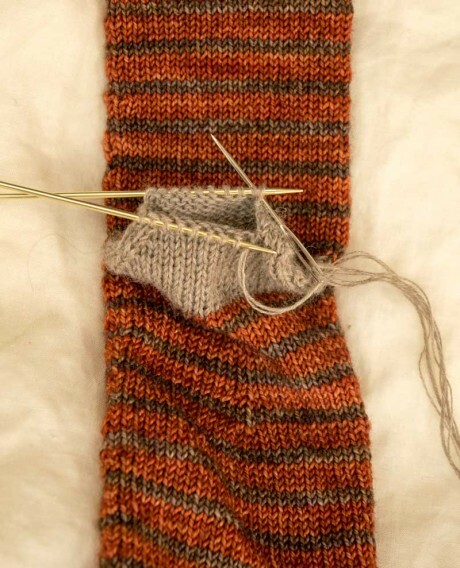 Next comes the knitting of the heel. a) Beginning at one side, I unpick the waste yarn. I may use small scissors or an extra needle to pull the waste yarn back out, through the stitches. b) All the stitches are on the needles. 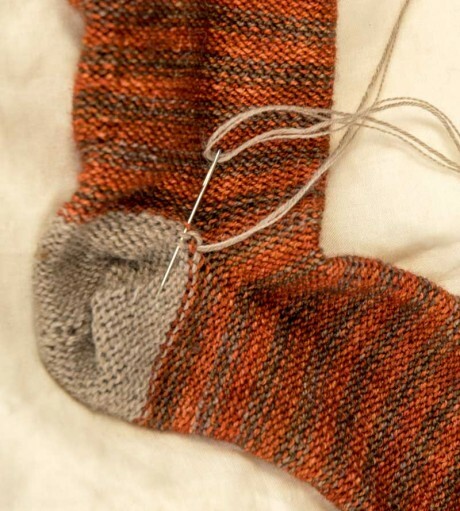 c) Push the stitches down onto the needle cable and feed the ends of the needle tips up through the sock to turn right-side-out. 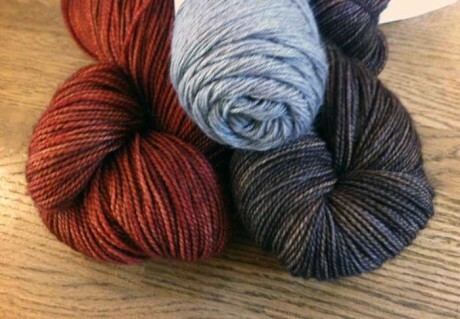 d) All ready to knit. e) The first half of the stitches are knit. You can see one strand is coming from the Lang ball and one from the nylon spool. The yellow thread holds a single stitch that I failed to pick up. I will pick it up as I come to it. I’m about to make the 2 extra sts by twisting the sides of stitches between the upper and lower needle. Time to start knitting that heel. And then graf,t with kitchener stitch, to close final stitches. Yes, I admit it, even though I twist my edge stitches, I sometimes still end up with a little hole at the corners. I don’t sweat it though. I’m happy to turn it inside out and darn shut while I weave in all my ends. 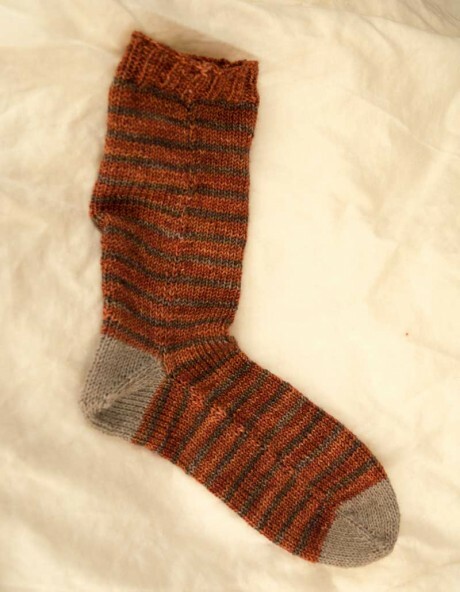 Afterthought Heel Socks is a free pattern and all images and text are copyright of Loop Knitting Ltd. It is for personal and non-profit use only. This means you can knit it for yourself, as a gift or for charity. You may not sell a garment made from this pattern. You may not reproduce this for sale. Please ask if you wish to translate it or use to teach a class. ‹ Blue Sky Alpacas at Loop! Love these! Thank you for the pattern and the pictures! I am so glad you guys posted this today! I have been thinking about knitting some afterthought-heel socks and this seems like the perfect pattern to use for two-at-a-time as well! Thanks so much ! 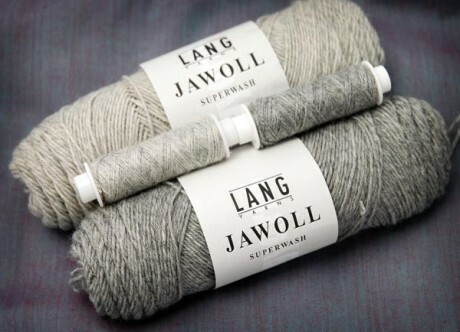 I have plenty of Lang Jawoll waiting to jump out of the sock yarn drawer ! selection of colours in the Jawoll range. Hi there, I’m looking forward to having a go at these socks, they look great. 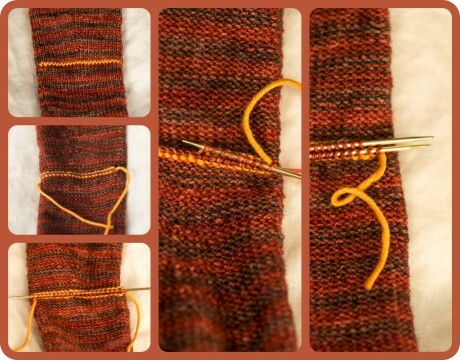 Do you know if its easy enough to also reinforce the heel? I was just wondering if you have the numbers for baby socks. I love this look but I’m having a new niece or nephew and would like newborn sized. The great thing with the construction of this pattern is that it’s very easy to customise. The number of stitches you cast on is the width of the toes, so for a new born maybe start with 10-15 stitches. 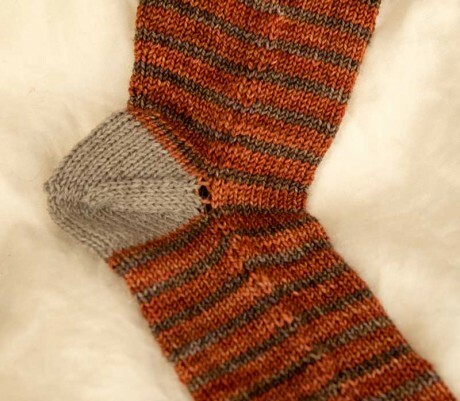 The follow the increases pattern until the tip covers the toes, then knit the length of the foot (minus a couple of cm) and add the waste yarn for the afterthought, and knit the top of the sock. For the afterthought heel you may only want a few rounds of decreasing to get the right size. 3 Pings/Trackbacks for "Lots of Socks"